Google recently release a series of images created by its artificial intelligence networks, those used by Google as image recognition engines. They analyze stacked layers of artificial neurons against a source image. 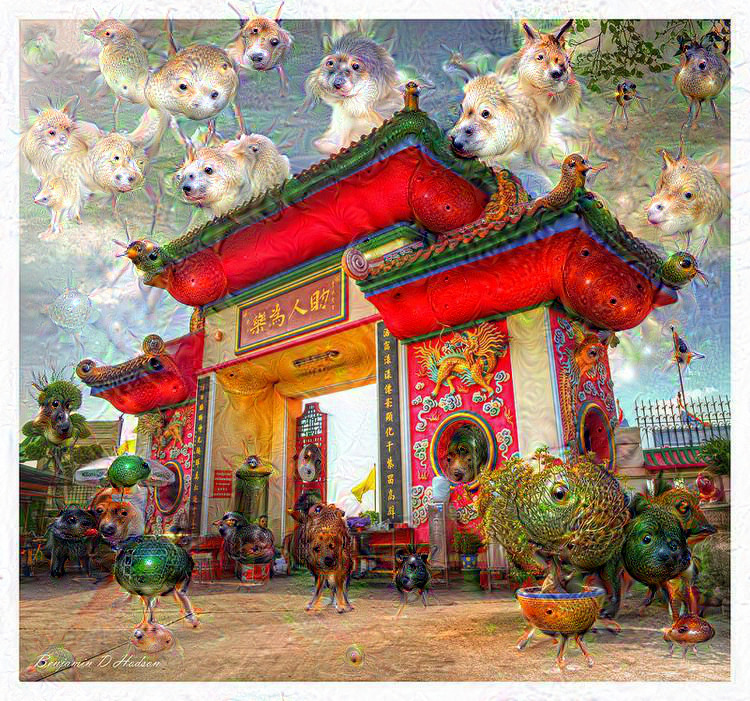 The network will look for more complicated structures within the initial image, including those present in digital noise, then cross reference the results using Google's AI network until the layer output is rendered in the final picture. The resulting images are particularly stunning, and sparked my interest again in the idea of fractals, and what many would call psychedelic artwork. Building on my recent portfolio of projects and ideas, those that primarily focus on HDR (High Dynamic Range) photography, I have managed to breathe new life into some of my vast catalog of landscapes by illustrating a series of artwork using simple photo editing techniques as the basis of new work exploring the Fractal illusion. Layering and reflections are key to producing these works, which also combine photo distortion filters such as Polar Coordinates. A process that has produced a series of inspired images containing intricate yet simple optical illusions with an organic machine like quality.